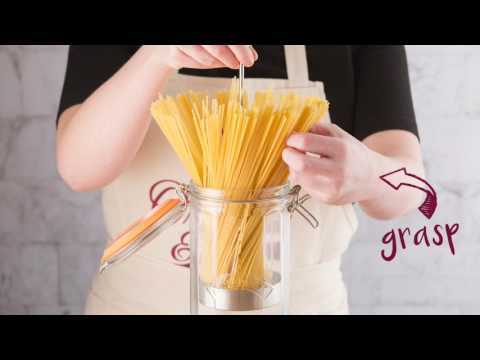 The Kilner Spaghetti Dispenser helps your pasta stay fresher for longer with its air-tight clip top lid and robust glass container. Designed with a built in lift and lock device that is easy to use, and gently shuffles your pasta into a fan-like position. Holds up to 2.2 litres of dried pasta and comes complete with a gift box.